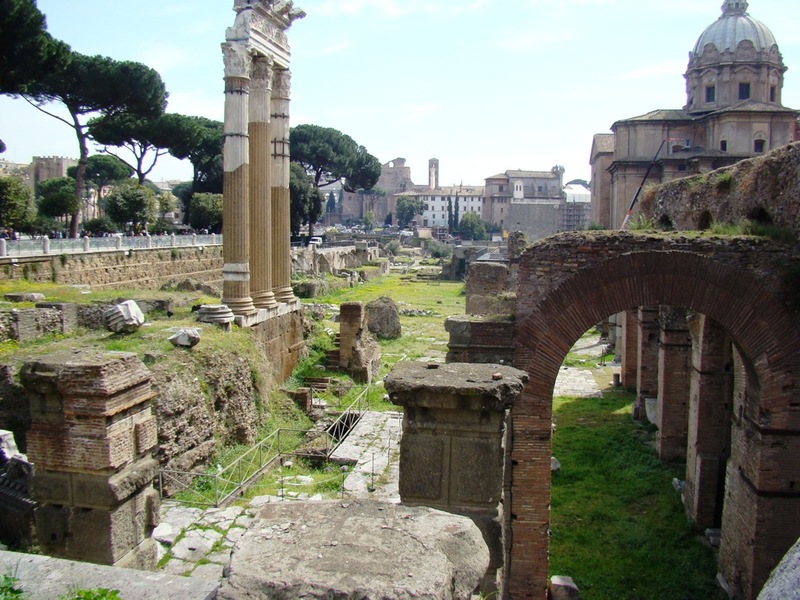 Our photo today shows the Forum of Caesar, located in the north-east corner of the Roman Forum. Construction of Caesar’s Forum was begun in 54 BC. 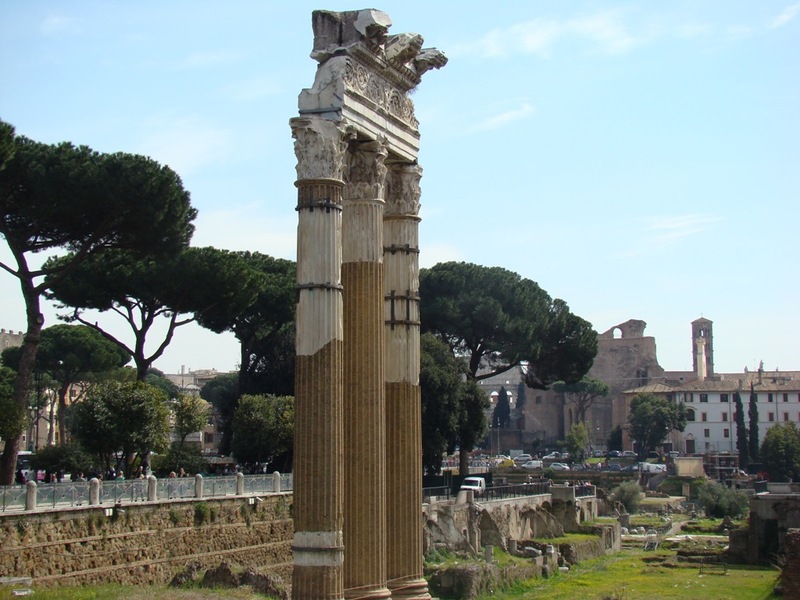 Three remaining columns indicate the location of the Temple of Venus in Caesar’s Forum. Temple of Venus Genetrix, located in Forum of Caesar, Rome. Photo by Leon Mauldin. The temple was introduced at a slightly later stage, having been vowed by Caesar the night before the Battle of Pharsalus in 48 BC, during his civil war with Pompey, to win over Pompey’s favored goddess Venus Victrix, though when inaugurated in 46 BC (while still unfinished) it actually honored Venus as Venus Genetrix, “universal mother,’ from which Julius Caesar’s family (and thus all the emperors from August to Nero) claimed descent. (Rome: An Oxford Archaeological Guide, p.150). Temple of Venus Genetrix, close-up of columns. Photo by Leon Mauldin. The Temple of Venus Genetrix contained an important collection of statues, paintings and engravings. A gilded statue of Cleopatra VII was erected, setting a precedent for dedications to notable women in the precinct. Paintings in the forum included one of Medea, mythological Greek hero of Euripides’ play Medea, as well as one of Ajax, mythological Greek hero of Sophocles’ Ajax, done by Timomachus. Perhaps more personal to Caesar were six collections of engraved gems. These surpassed in number the collection of Mithridates dedicated by Caesar’s rival Pompey. It is not known where or how Caesar obtained these six collections. (Wikipedia). The location of a temple at the end of a long enclosure was a practice borrowed by the Romans from the Etruscans. This area suffered fire damage in AD 80; the temple was later rebuilt by Domitian and subsequently restored by Trajan. You are currently browsing the Leon's Message Board blog archives for the day Monday, April 23rd, 2012.